What makes Richard Cox a true American hero? After reading about his twenty years of military experience, his determination to make a difference regarding veteran challenges, and watching the following video, you will agree. “Richard is a strong, silent man who is very dedicated to veterans, and their causes.” This comment came from Judy Atencio. Ms. Atencio, is an advocate for veterans and also an associate member of VVA Chapter 1071. She has witnessed his tenacity for veterans time and time again, while being part of various veteran issues with VVA Chapter 1071. For example, recently, important headway has been made with, The Toxic Exposure Research Act of 2015, currently in Congress. Without active veteran commitment with veterans like Richard Cox, there is no face to the cause. His leadership, has helped bring positive results. 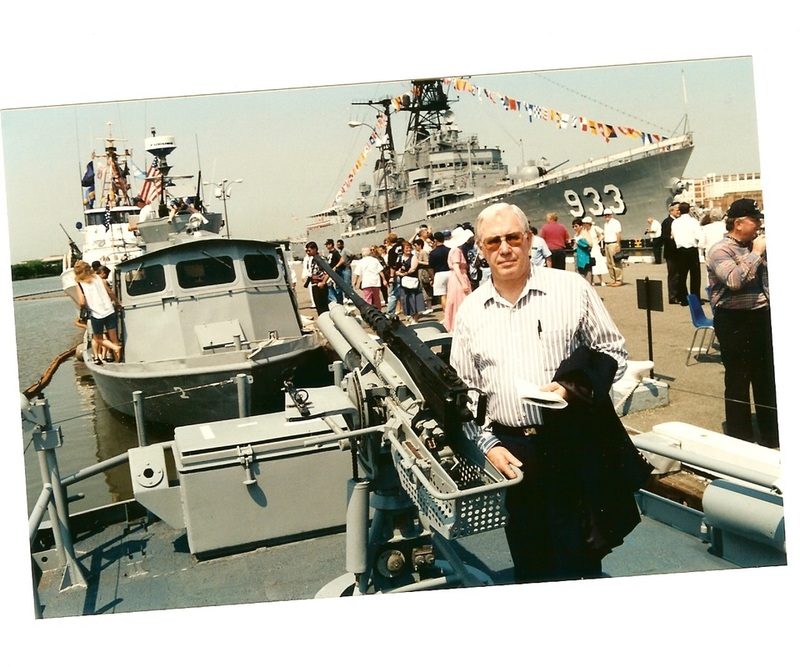 As a seasoned veteran, Richard Cox brought a wealth of experience to Vietnam Veterans of America, serving first as Vice-President, and four years as President of Chapter 1071. He traveled countless times to Washington DC to be part of the discovery process regarding Agent Orange. In doing so, he helped our exposed veterans receive the benefits they deserved. He has also been involved with bringing attention to the hazards of burn pits, first noticed with our younger veterans from Iraq. “I am a third generation native of Colorado, born and raised in Denver. 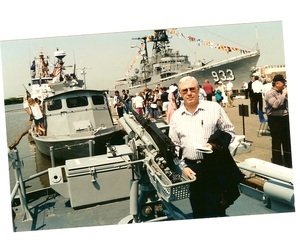 I joined the navy four months after my 17th birthday in April 1958, and went through basic training in San Diego, CA. I was assigned to the U.S.S. Rainer AE-5, an ammunition ship home ported in Port Chicago, CA. I was on what they called a minority cruise and was discharged just before my 21st birthday on the 8th of January 1962. I reported to my Reserve Unit, and re-enlisted on the 22nd of August in 1962. At that time I was sent toTreasure Island, CA and was assigned to the U.S.S. Rehoboth AGS-50, a geological survey ship. On March 1st, I was transferred to the U.S.S. Manatee AO-58, a Fleet Oilier, home ported in Long Beach, CA. May 1964: Transferred to the U.S.S. Impervious MSO-449, an Ocean Going Minesweeper in Long Beach, CA. July 1965: Transferred to the U.S.S. Woodpecker MSC- 209, a Coastal Minesweeper, home ported in Sasebo, Japan. April 6, 1967: Transferred to the Amphibious Base at Coronado, CA., for Swift Boat Training. On the 21st of June, I reported to Coastal Division 11 in Vietnam. June 1968: Assigned to Instructor School at San Diego, CA for training, then assigned to Mare Island, CA as a Riverine Warfare Instructor. August 1971: Transferred to the U.S.S. Samuel Gompers AD-37, a Destroyer Tender, home ported in San Diego, CA. On the 21st of Dec 1973, I was assigned to Race Relations Training at Patrick Air Force Base in FL, then to the Navy Race Relations School at Memphis, TN. May 1974: Assigned to the U.S.S. Dixie AD-14, a Destroyer Tender in San Diego, CA, as a Race Relations Program Specialist. In July of 1975, transferred to the Navy Recruiting Orientation Training at San Diego, CA. In September 1975, I reported to the Naval Recruiting District in Detroit, MI. According to VVA Chapter 1071’s website, due to his outstanding service achievements, Richard Cox was awarded the following medals and citations: the Navy Achievement with Combat V, Combat Action, Presidential Unit Citation, Navy Unit Commendation, Good Conduct, National Defense, Antarctica Service, Armed Forces Expeditionary, Vietnam Service, Navy Sea Service Deployment, Recruiting Service, Republic of Vietnam Gallantry Cross, Republic of Vietnam Meritorious Unit, Republic of Vietnam Campaign, Combatant Craft Crewman Insignia and Small Craft Insignia. Dan Dietz and Richard Cox at the 2015 West Metro Veteran Fair. (Mark your calendar for this year’s fair on September 20, 2016 at Lakewood’s Elks Club 1777). We thank you, Richard Cox, for shining a light on veteran issues, and THANK YOU, SIR, for your service! The City of Arvada’s Media team, Wendy Brockman, Rick Assumus & Damon Parrish, created the following video of Richard Cox in 2012. Length 3:36. On August 7, 2016, Richard passed away at home with his loving family. Mary Ann Whitehead made Memorial Keepsake Dog Tags for his family and friends from the Vietnam Veterans of America Chapter 1071. A true testimony of how many people this hero touched. Your dedication to our country and the Vietnam Vets is awe inspiring. Thank you so much for your service and the many years you have given to the betterment of soldiers who never felt their county’s gratitude on their return. What an incredible man! We are so blessed to have men like you representing our country. Our country is what it is because of men like you. A true true Hero. God Bless America and God bless Richard Cox. Thank You Sir. What a Patriot Richard is! From veteran to veteran, brother to brother, thank you. Your service to country and community is in keeping with the finest traditions of the service. A man devoted to a cause is more powerful than a man within a cause or conflict. My sincere respect to you Mr. Cox for all that you have done in helping those veterans that need your help. Smooth Sailing. When Mr. Cox was President of VVA-1071, I asked if I could interview him for Star Spangled Boomerang. As a quiet, non-bragging man, the interview never happened. Once Richard was retired from the position, many friends stepped forward to help with this post. Our thanks to all of you. Being able to honor this incredible man and others, is why Star Spangled Boomerang was created. God Bless You, Richard. Richard Cox is a steadfast, honorable man and I’m humbled that I could call him friend! Richard Cox is the true embodiment of the American notion of duty and honor. His entire life was spent in the service of his country first, and then his brothers-in-arms. A tireless advocate of veteran’s rights, his unyielding efforts have brought about a sea change in the public perception of the military and veterans of all conflicts. And insuring a continuum of this uniquely American spirit, Richard has passed the torch to the high school kids he has touched. A job well done, Richard. Thank you and God bless you. Thank you to a true hero!